Happy Monday!! I had another fantastic weekend full of family, friends and birthday celebrations. It was nice to spend time with the people who mean the most to me. I started the weekend off by going to a concert with my sister, we saw David Myles and Royal Wood. Both were amazing. I had the chance to talk to David Myles during the intermission and he told me that he had checked out my blog...how awesome is that?!?!? I'm still on a high from hearing that! Saturday I went out with childhood friends and Sunday, my parents hosted a dinner for me, where I got to pick the menu. The only thing I wanted was my grandmother's lasagna, which she was nice enough to make. It was delicious! I have another busy week ahead of me, sadly not too many fun things planned...mostly work- I have a fundraiser next week, so the next two-ish weeks will be super busy. There has been a lot going on in both my personal and professional life over the past few months. I have really struggled...don't get me wrong, there has been a lot of good and a lot of happy, but there has also been a lot of negative and frustration- I know I'm not the only one. Some days are difficult to get out of bed, to go to work, to be social. Again, I know we all have days like this. Our days are what we make of them, as is our life. 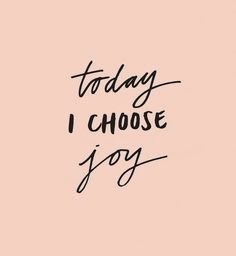 I am going to really focus on choosing joy this week; choosing to have good days, choosing to be happy and choosing not to let things/people get me down or frustrate me.